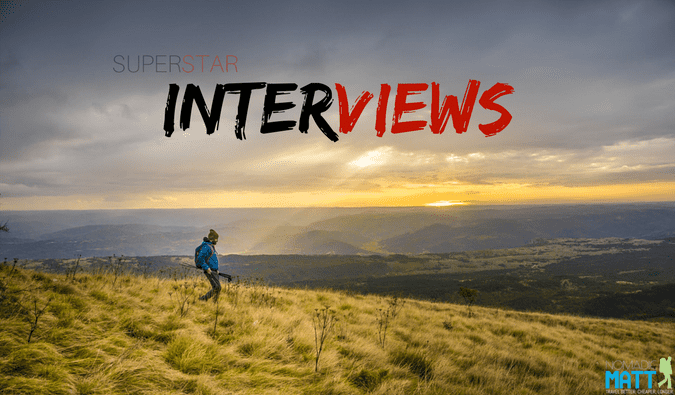 Each month we feature an interview with a member of the Superstar Blogging community. These interviews highlight the ups and downs faced on the road to success, illuminating helpful tips and tricks along the way. If you want to get inspired to succeed, then consider these interviews must-read material! 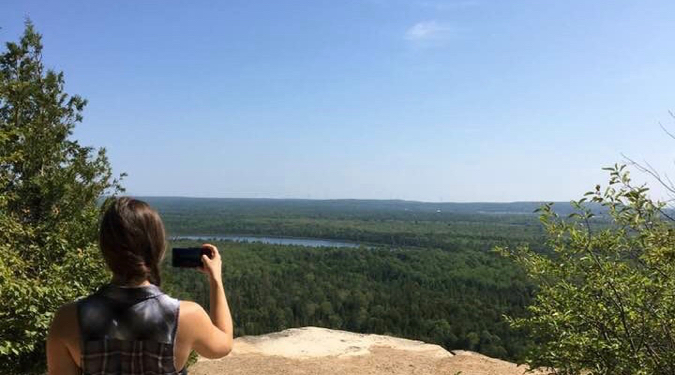 This week we are featuring Erica from Treading Wander! I’m from just outside of Toronto, Canada. I went to college for TV production and currently work in marketing, but outside of work I’m an amateur aerial artist…like the kind of stuff you’d see in Cirque du Soleil. I was lucky growing up because my parents would take my brother and I on family vacations nearly every year. I got a taste of what travel feels like from a very young age. Around five years ago, I found Matt’s blog, which showed me that travel doesn’t necessarily have to be expensive. I’ve been addicted to travel ever since. What have been some of your favorite destinations so far? Why? I have a particular attachment to Venezuela. In 2016, I spent three months in the city of Merida teaching English, and it became my favorite place in the whole world. It was my first time in South America, and it really helped me out of my comfort zone. Living there forced me to learn Spanish quickly, and I ended up making friendships and memories I’ll never forget. I also loved the vibe of Merida: a little bit European, but much more laid-back. Another favorite destination of mine is St. Augustine, Florida. It was the first place I’d ever traveled to with my family when I was three years old. To this day, I try to visit at least once every other year. I love how unique it is in that it’s partially a beach town, yet it’s got a lot of history and culture – it was actually the first European settlement in the United States! What places/activities are still on your bucket list? Living in Venezuela really whet my appetite for South America. It’s still my only South American country, and I’d love to head back to the continent to really explore each country in depth. Highest on my bucket list are Colombia, Peru, and Bolivia! What are your travel plans for 2019? I’m so excited for my 2019 travel plans. 2019 will have me spending more time exploring parts of Europe I still have yet to see. I can’t say too much about it just yet, unfortunately, but you can be one of the first to hear about the adventures I have planned here. Have you had any misadventures on your travels? What lessons did they teach you? I wouldn’t say I’m the unluckiest traveler ever, but I’ve had my fair share of mishaps. In India in 2015, I nearly fainted from heat exhaustion at the Taj Mahal. 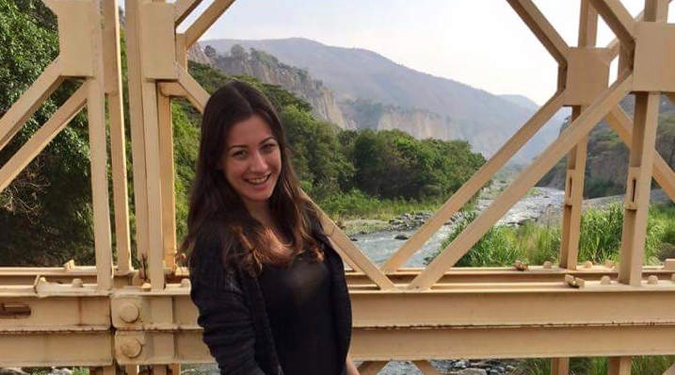 And on a hike through the Venezuelan Andes in 2016, I was taken down by altitude sickness…and this was after spending a week suffering from a parasite. The misadventures I’ve had while traveling have taught me to just go with the flow. I’ve been known to be a bit uptight at times, so these travel mishaps have taught me to just relax and trust that everything will be fine. What’s the most important lesson travel has taught you? I’ve always been very shy, and I credit travel entirely with bringing me out of my shell. Showing up to a new country alone, a country where I may not even speak the language, and rooming with strangers in hostels forced me to get comfortable with striking up conversations. I love the person I am when I travel: outgoing, friendly, carefree, and fun-loving. After every trip I’ve taken, I’ve come home incrementally more confident, less afraid, and more understanding. What’s one destination you went to that COMPLETELY surprised you? I’ll have to use Venezuela as my answer for this one, too! When I told family, friends, and coworkers that I’d be going there, the reactions I received were almost entirely negative. Others would tell me how stupid I was for wanting to go; that I’d definitely be robbed, possibly kidnapped, and maybe even murdered. While I knew that their fears were extreme, I did recognize that its political situation meant Venezuela probably wasn’t the safest country to move to, albeit temporarily. When I arrived, I couldn’t believe how starkly my experiences contrasted the warnings I’d received from people back home! The Venezuelan people I encountered were honest and kind, and I never once felt unsafe. I returned home with a smug “I told you so” for all my naysayers. Tell us about your blog! I started my blog, Treading Wander, in April of 2017. I use the blog to document my travels, and I write a lot about ethical and sustainable travel, as well as vegan eats around the world. 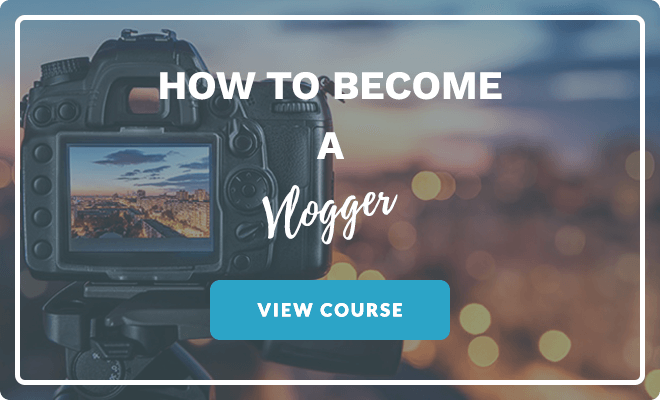 Naming my blog was the hardest part of getting started. I made a list of travel-sounding words I liked, and started playing around with how they sounded when I paired some up. I landed on Treading Wander because I like that it sounds a bit whimsical but also familiar (very similar to the phrase “treading water”), so hopefully easy for people to remember. What are 3 tips that can help other travelers and bloggers be more ethical and sustainable travelers? 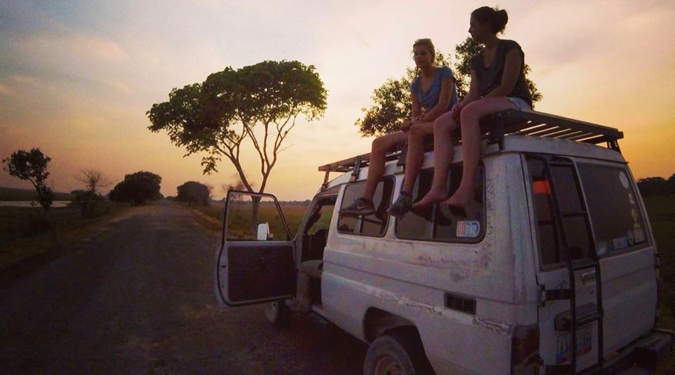 Travelling sustainably is much more simple than most people seem to think. My most important tip would be to go local whenever possible, especially if you’re travelling in a less developed area – this means staying in locally owned hotels, opting for local food, and taking locally run tours. You’ll be contributing your tourist dollars to the local economy, and directly supporting local businesses and people. I’d also strongly recommend against partaking in any activities that include animals. Many companies that offer animal attractions will value money over the welfare of the animals, and end up treating the animals horribly. Unless you’re visiting a legitimate sanctuary, where you’re certain the animals are treated with care and respect, don’t support it. Lastly, watch what you’re packing. Can your plastic travel toiletries be replaced with bars of shampoo and conditioner? Or maybe toothpaste tabs can take the place of your travel-sized tubes. If you can find a way to reduce the amount of plastic or waste you create, do your best to do so! And do you have any fav vegan restaurants to suggest, either at home or abroad? I’ll be honest. It’s not hard for a restaurant to make its way onto my list of faves. All I need are good vegan mac & cheese or desserts! Sorelle & Co is one of my favourites in Toronto, and I also love Lettuce Love Cafe, which is less than an hour’s drive west of Toronto. Abroad, I love Present Moment Cafe in St. Augustine Florida, and Anastasia in Tel Aviv! 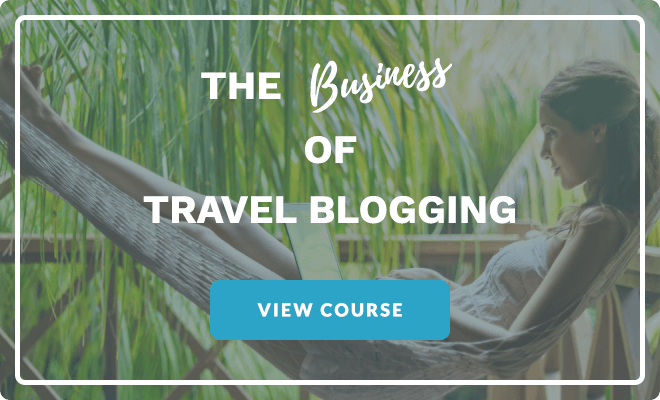 Why did you start a travel blog? 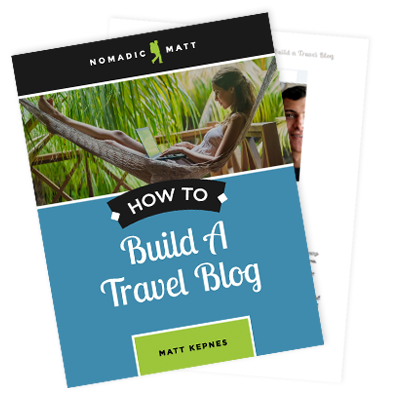 I was inspired to start a blog by so many of the bloggers I follow that are living the digital nomad life. 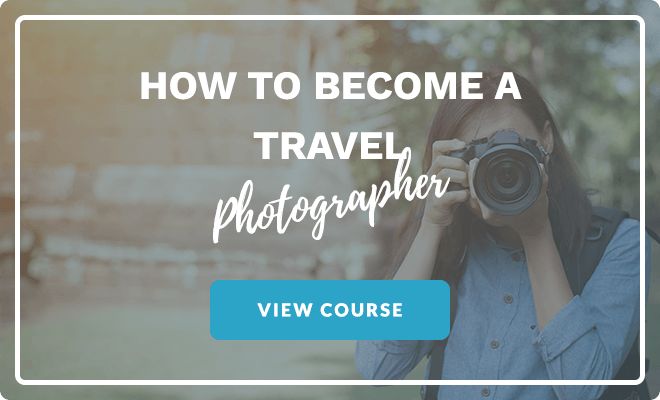 I created my blog with the hopes of someday turning it into a business that could help support me whenever I finally took the leap of setting off on a round-the-world trip. What are your blogging goals for 2019? I’ve been writing sporadically: more often when the inspiration hits, and less often if I’m feeling discouraged by my viewership numbers. In 2019, my biggest goal is to start writing more consistently and to get more creative in the ways I promote each new post. What’s one thing you wish you knew before you started blogging? I wish I’d known to get on Pinterest right away! I knew nothing about how powerful of a tool Pinterest could be when I first started. I only really started to understand and use the network efficiently a couple of months ago, and I’m already seeing a lot of referrals from there to my site. I’m still far from a Pinterest guru, but I’m slowly figuring it out. For anyone thinking of starting a blog, what advice do you have for them? 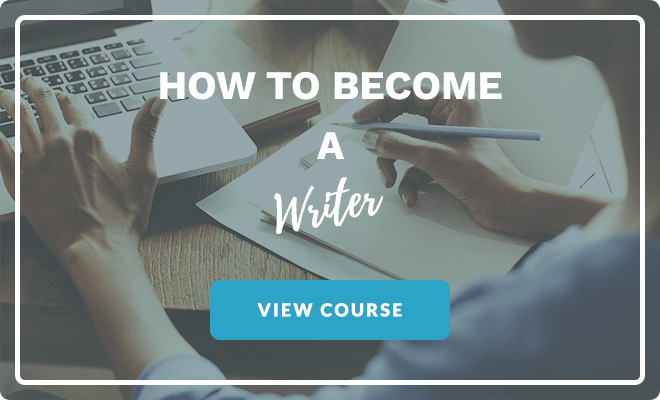 At first, you’ll be writing and nobody will be reading. It can feel more discouraging than it sounds. You really have to love every aspect of blogging; otherwise, you won’t stick with it. That includes the writing, social media marketing, and networking. Where can we find you online/on social media? You can find me on Facebook, Twitter, Instagram, Pinterest, or on my blog, Treading Wander. DON'T HAVE A BLOG YET?